The ProKennex Super Wrap overgrip - 3 pack features an elasticated micro-fibre formula for perfect cushioning. This ultra-thin overgrip ensures a great feel when applied to any racket and comes in a pack of 3.
for submitting product information about ProKennex Super Wrap Overgrip - 3 Pack We aim to answer all questions within 2-3 days. for submitting product information about ProKennex Super Wrap Overgrip - 3 Pack. We aim to answer all questions within 2-3 days. If you provided your name and email address, we will email you as soon as the answer is published. 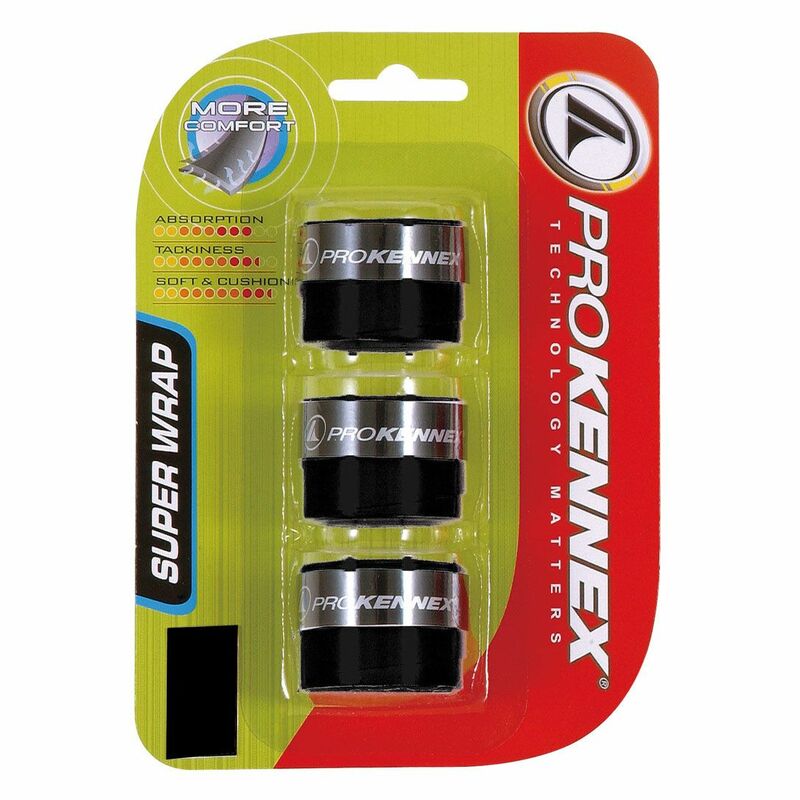 for submitting product review about ProKennex Super Wrap Overgrip - 3 Pack.